Yes we can help you with all these things but we think it goes deeper than that. It’s not just about which investment fund performs the best or which bank is paying the highest interest rate it’s ultimately about putting some context to your money and identifying whether it is sufficient for you to live the life you want. We appreciate that many people struggle to articulate what they want from life, or even write down a few possibilities, but we can help you ‘find your passion’ and work out whether you can turn that dream into a reality. A goal doesn’t necessarily have to mean saving up to buy something such as a holiday or a new car, it could be about having the option to retire if you are unhappy at work or learning a new skill. We spend so much time in our daily lives focusing on routine and mundane issues we often overlook the things that could truly make us happy. 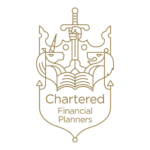 Clearwater Financial planning is also a subscriber to the Financial Ombudsman Service (FOS) who are an independent third party to which customers can refer complaints to if they cannot be resolved amicably with the firm. Complaints should however to be referred to the firm in the first instance.